It’s National Camping Month, so we had some camping safety tips to keep you safe on your big trips this summer. Make sure you get vaccinated before your next camping trip to protect against diseases. When you’re packing to camp, make sure you separate raw and cooked food in waterproof containers and keep them in a cooler. Put together a camping first aid kit with this list from the American Red Cross. 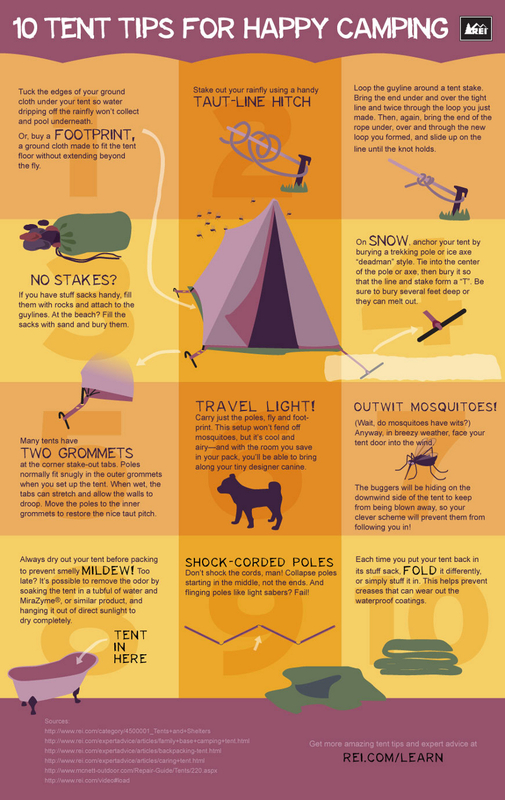 These tips can help you set up your tent safely. Avoid carbon monoxide poisoning by never using fuel-burning equipment in an enclosed shelter and don’t set up your tent too close to the campfire. Protect yourself from poisonous plants while hiking. Use insect repellent with DEET to fight mosquitos and ticks to avoid bites and some diseases.